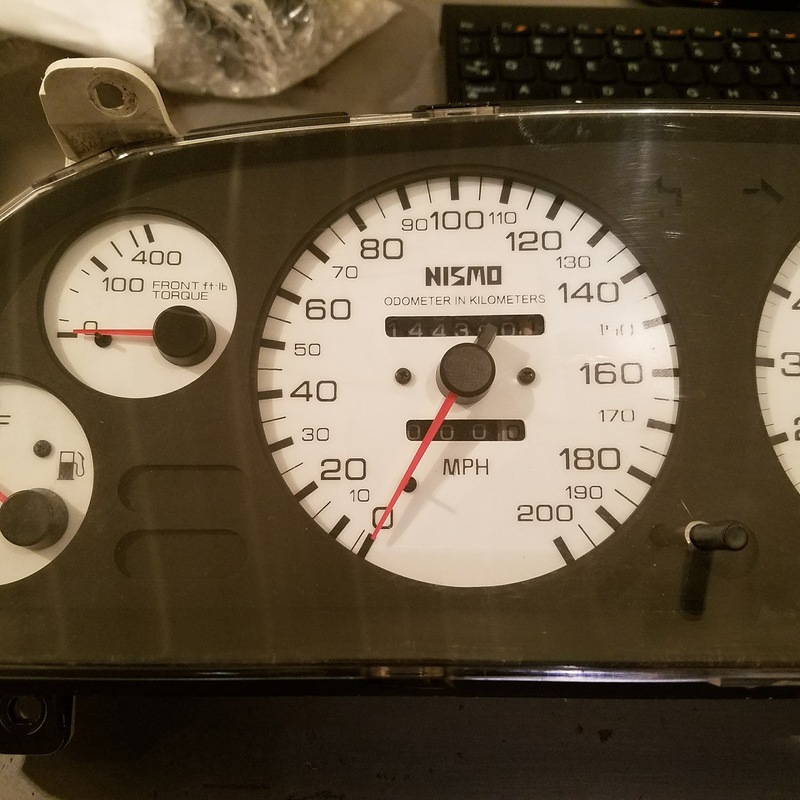 Speedo Conversion Solutions contacted us a while back about MPH speedo face conversions for R32 Nissan Skyline GT-R. A Kilometer speedometer is just a minor annoyance to some people, is a big deal to others. Speedo Conversion Solutions has come up with a number of faces, styles, and colors to suit nearly anyone. 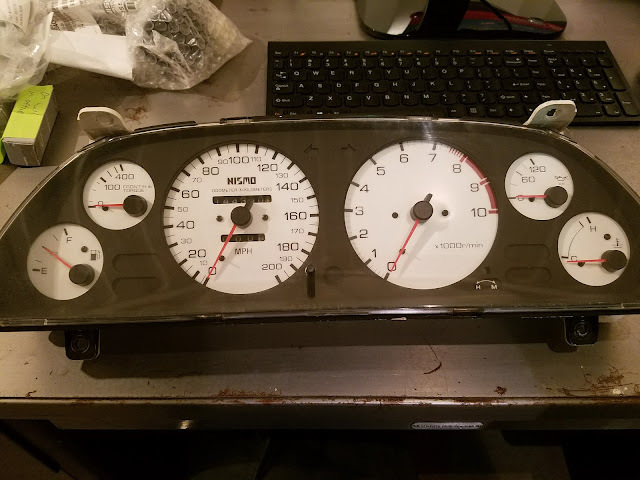 Along with the speedometer, they also have done the center three gages. The face options depend on the original speedo. 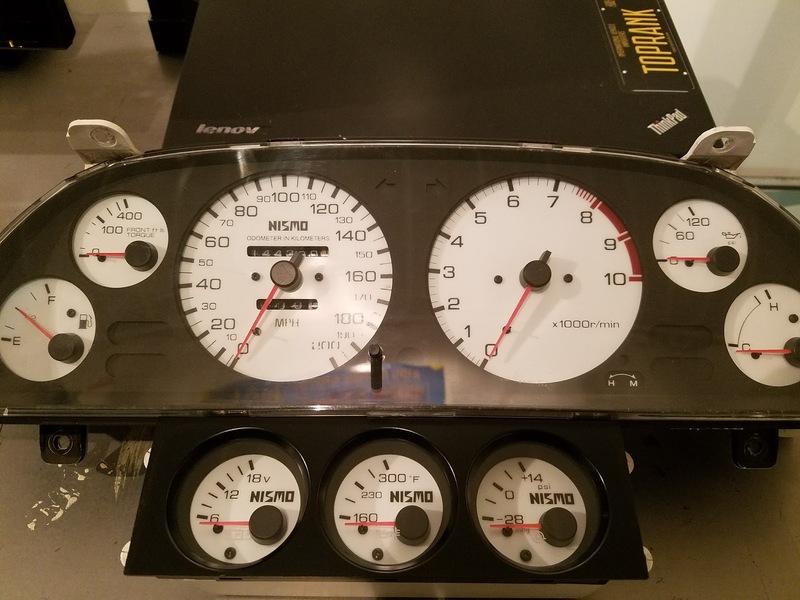 The OEM gage is 180 km/hr or about 110 mph. NISMO has at least two options - 260 km/hr and 320 km/hr. Other brands have 300 and 340 km/hr speedometers. Check out some of the pictures of a cluster we had them do. The prices for the faces are really reasonable, starting at $60. If you need a new speedometer cable, we have them for sale here. 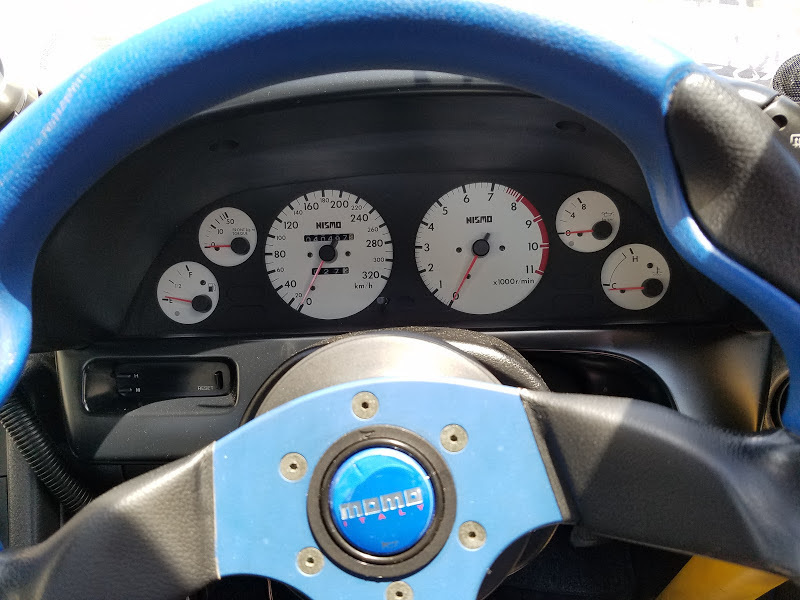 Buy legally imported JDM cars here.